Red, silver, black and pink cameras for the fashion-conscious socialite? Fujifilm has come up with a state-of-the–art camera that has preset modes for the Party, Museum and Beach. 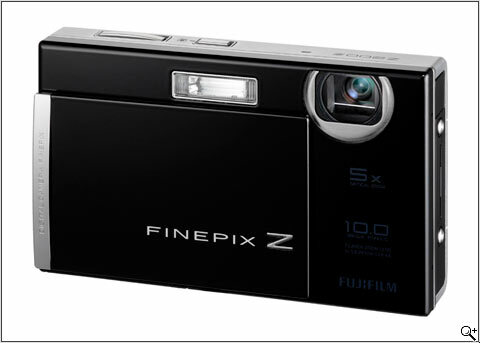 Check out the FinePix Z200fd camera with its slim compact look and elegant contours. FinePix has a10-megapixel camera with 5x optical zoom and ISO 1600 sensitivity. This smart camera has a face-detection feature to enable it to focus on 10 subjects in a single photo. The timer option only takes a snapshot when all the subjects are in focus. The camera also takes 640×480 pixel video movies and supports xD and SD cards. For bloggers, the camera has a mode that reduces the size for immediate posting on the Net. Yet another feature is the Auction mode for the techno-savvy to combine multiple images into a single image for disposing off the item on the Net. The product will be available online in September.